Compatibility: Motorola Moto X 2nd Gen.
? This Motorola Moto X 2nd Wood Case does NOT include any side keys or camera lens.
? This Moto X 2nd Gen. Back Battery Cover is made of wood and does NOT carry with any logo.
? This Moto X 2nd Wood Case Cover has Walnut finish on the surface. We can also supply the cases with Walnut finish or Bamboo finish.
? 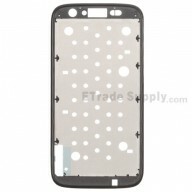 This Back Battery Door is compatible with Motorola Moto X 2nd.
? Please read above features carefully so as not to purchase the wrong parts.
? The installation of any new product should be done by a qualified person. ETS is not responsible for any damage caused during installation.